*Dates of Social Events such as the 2019 Big Lunch, the Street Sale and the International Food Day. *Planning for the NSMRA AGM. *Other ideas for making this wonderful part of London even better. Why not come along and join in! All are welcome. The best ever result from the Carol Singing! £193.47 was raised for the local Ivybridge foodbank. Thanks to everyone who emptied their wallets! They still need help of course. Please do contact Richard Frank for details. The video and sound files for this are being edited and with any luck we should soon be able to post a link to a version of this unique performance. The Council have realised that Residents’ Associations are a good way of disseminating information, and they have asked us to publicise a couple of things. One is the availability of fuel grants. 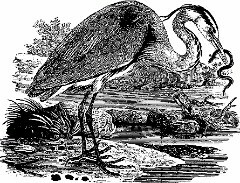 www.richmond.gov.uk/fuel_grants. These are available to help local residents who have difficulty with their fuel bills. We have also been asked to tell you about a murder opportunity! richmond.gov.uk/council/councillors/mayor/mayors_charities. The Mayor is raising money for charity and is clearly prepared to take extreme measures to do so. 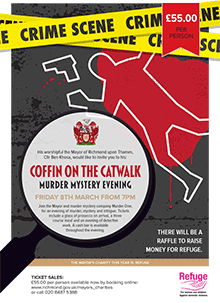 “Coffin on the Catwalk”, on 8 March, is a Murder Mystery played out at York House. Don’t leave your car unlocked. Residents have reported people going around in the early hours checking car doors. We doubt that they have honest motives for this. The data we hold about you is at most simply a name, address, and email. We do not share your address with third parties or use it otherwise than for this Newsletter and the Neighbourhood Watch emails. The data is stored by Mailchimp. We will delete any data on request. Copyright © 2019 NORTH ST MARGARET’S RESIDENTS’ ASSOCIATION, All rights reserved. This list is the combined list for the NSMRA and for the Neighbourhood Watch serving that area. If you are on it, and don’t want to be, please unsubscribe.